Super cool board! Hope the surfer was okay!! WOW! Excellent action shot, Kerri! Excellent action capture. Nicely done. What a great shot Kerri! Totally amazing. You are something else, Kerri! Wow, this is terrific. 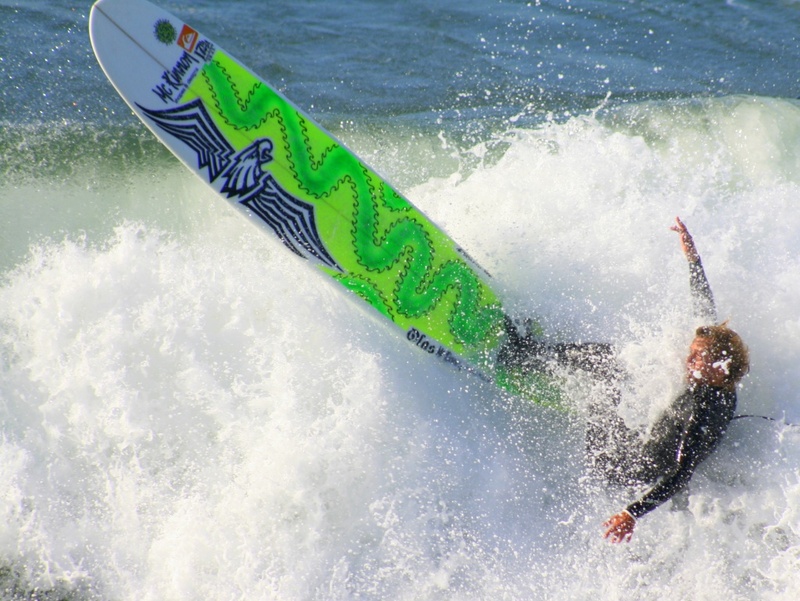 I love great surf action shots! Whoa, this is a terrific action shot! Great shot. You captured the action perfectly. Great action shot. Those waves are huge. Great timing, I can feel the saltwater up my nose in sympathy. amazing! fav! I love huntington my friend surfs there! Great capture - cool colours and splash! Great choice of board colour. Makes for an excellent shot. Fav! Well taken, good timing and clarity Kerri. Wow, look at all the action and color in this shot! You captured a great moment. Another great capture Kerri ! fabulous - love your surf shot - so cool! He and You caught the wave just perfectly! Terrific action shot, Kerri. great motion shot - cool board! What a fantastic action shot! Your captures of the surfers are incredible. That is one long board. Great capture! Great timing for you - maybe not him though! I love that lime green on the board.